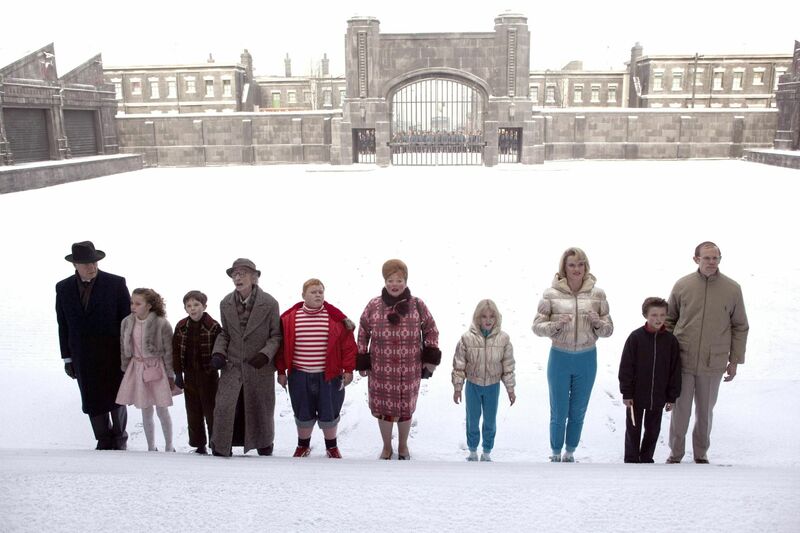 Charlie and the Chocolate Factory. . HD Wallpaper and background images in the Charlie and the Chocolate Factory club tagged: charlie and the chocolate factory hq stills. This Charlie and the Chocolate Factory photo might contain straat, stad scène, stedelijke omgeving, stad straatbeeld, stedelijke instellen, roodbruine zandsteen, brownstone, quad, vierhoek, and quadrangle.